The Lord Chief Justice used a recent lecture to argue that the European Court of Human Rights (ECtHR) is being given too much respect in the UK courts, with its judgments being cited by lawyers and judges with alarming regularity. The issue an important one, as it goes to the heart of the debate over whether the Human Rights Act 1998 should be repealed. The original intention of the 1998 Act was to “bring rights home”; in other words, to prevent decisions on matters of great public importance and local sensitivity being decided in Strasbourg rather than the UK. Before the 1998 Act, the only human rights cases which could be cited were from Strasbourg. But the UK courts now have almost ten years of home-grown human rights case law to consider. The effect of the 1998 Act was therefore to diminish the relevance of ECtHR cases, and the Lord Chief Justice was reminding lawyers of this point. Analysing the speech, it is clear that Lord Judge’s main complaint was that too many lawyers cite ECtHR authorities at inappropriate times, and that modern technology (including, it would seem, overzealous use of copy and paste) has meant that too many European authorities are creeping back into arguments. Judges may be good at expressing themselves in written judgments, but they can sometimes be less than clear when speaking out of court. 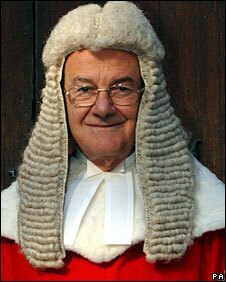 One sentence in particular made it appear that the lord chief justice was calling for a change in the law. ‘What I respectfully suggest,’ he said, ‘is that statute ensures that the final word does not rest with Strasbourg but with our Supreme Court.’ But Judge was not urging the next parliament to pass a law giving the UK’s judiciary supremacy over rulings by the European Court of Human Rights. He was pointing out, with unnecessary self-deprecation, that our own law already does just that. In light of these comments, perhaps lawyers will think twice before copying and pasting another European judgment into their arguments.